Turns out that after several stints running social media accounts for different institutions, I have feelings about what works and what doesn’t. What follows is a prescriptive ramble of things that historical organizations and history departments should be doing on Twitter and Facebook, with the understanding that there is a lot that I’m not covering, such as general Twitter etiquette, blogs, Tumblr, podcasts, or other social media topics we’ve already covered here. I’ll leave it to you in the comments to discuss these issues further—and to point out which additional accounts strike you as models to follow. This isn’t an exhaustive list, and I’d be happy to take suggestions from other people running accounts as to what’s worked for them. I’ll also go ahead and say that I’m aware that some of these activities would be better served by the creation of a departmental blog, but there’s this whole first book monkey on my back, so it’s not an immediate priority for me. I also have some ideas about what departments and institutions can do to run successful social media accounts. Social media accounts also work well throughout the year to ensure better publicity of seminars, conferences, new issues of journals, and the like. I’m not convinced that these accounts need to stick to a weekly or monthly schedule, but lately I’ve really been liking what the folks at the Omohundro Facebook account have been doing to tweet about conferences on certain days of the week. The first rule for departmental accounts is that a department should have a dedicated social media person. They should either be a graduate student (WITH A STIPEND) or a faculty member whose role MUST be factored into their workload. One of my colleagues just went to what sounded like a great workshop on Twitter that suggested a departmental Twitter account necessitated 30 dedicated minutes per day. It’s unacceptable for yet another form of unwaged labor to be codified into academia. The second rule is that if you run a departmental Twitter account, you should do what you can to nag, cajole, and convince your colleagues to get on Twitter. A departmental feed looks best when it’s retweeting the tweets of faculty and students in the department (from what I’ve observed, @QMHistory, @UCLHistory, and @NotEvenPast are really stellar in this regard). The fourth recommendation I’d like to make to foster a departmental social media account’s success is that there should be an explicit policy about what bigger university accounts will and will not retweet. I try to publicize the successes of people in my department, and still haven’t quite figured out how to get the university and alumni accounts to retweet my department’s tweets. It would also be great to have a master list of people running the feeds—and while we’re at it, if you run a department’s social media account, put your handle in the bio. There are still a few issues I’m figuring out. One is negotiating the line between formal and informal tweets for my department’s account. On my personal account I feel very comfortable doing this, but institutions are more concerned with staying “on brand.” Yet the twitter accounts that do best are the ones that put out a mix of serious content and stuff that’s less so. I have mixed feelings about following students who follow the department on Twitter. On the one hand it makes it easier to see when they’re saying stuff about history; on the other hand, following them means I’m reading their more personal tweets, too. Finally, I’m enthusiastic about Tweetdeck as a convenient way to monitor the use of my (growing number) of accounts that I manage, but wonder if I could be using it more efficiently to keep track of hashtags and keyword-specific tweets, too. Readers, do any of you run institutional accounts? What thoughts do you have about the best way to go about it? I think they’re inspirational. People who don’t have proclivities toward pump-up 80s music might disagree. I offer some suggestions for how departments and organizations might balance formal and informal departmental tweets while staying “on brand”: tweet about campus activities, lectures, sporting events, history club meetings; interesting history-related movies or shows on TV, like the upcoming documentary about the Roosevelts or even shows like Turn or Downton Abbey; interesting evening or weekend reads, which could be books or fun history articles from accounts like @mental_floss or @TriviaHappy. I look forward to reading the comments and other suggestions on this post. Thanks for these suggestions, Liz! Thanks, Rachel, this is thoughtful stuff. I’m a new member of my local historical society, I’m going to take some of these ideas to the board president tomorrow. 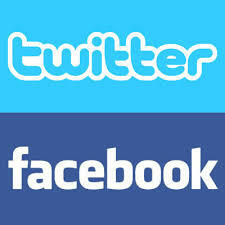 Most history departments have created Facebook and Twitter accounts. Rachel Herrmann at the Junto blog has some sound advice on how history department should be using these accounts to advice the goals of the department. Hermann points out that running social media accounts is actually a job and should be treated that way. We have moved past the point where departments could simply pawn off the social media responsibilities to an unpaid volunteer. You get what you pay for. Social media, for better or worse, is PRIMARY way for a department to communicate with both their students and the outside world. While Hermann focuses on Twitter an Facebook (Facebook is still the most commonly used social media site), the social media landscape is constantly changing. It is important to remember that MySpace was the leading social media site as recently as 2008. University departments that want to communicate with their 18-22 year old students will need to keep up. Incoming students have probably already explored newer platforms and any social media person will have stay on top of those trends if they want to communicate with the department’s students. I’ve been using Hootsuite for social media work on behalf of my local library and really like the functionality it provides. Very useful and thoughtful post, I’ve shared with several colleagues. I haven’t used Hootsuite. Do you have any thoughts on how it compares to Tweetdeck? OK, so you’re hearing a good deal of skepticism here. That isn’t too say that I haven’t been having fun, and I am looking forward to taking up these responsibilities more fully with the start of the semester. But I do think it worth asking ourselves why a department needs a robust social media presence. What exactly are we trying to accomplish? Are we “hustling” in the face of declining enrollments? Are we needing to prove ourselves to skeptical administrators? And what’s the relationship between expectations and infrastructure? If a university thinks this is important, what sort of support should it provide? I realize that this is a buzzkill question, but I really am curious: how will we know whether having a social media presence is a good use of a department’s resources and time? Give me a metric. Thanks for your comment, Seth–skepticism is usually a good thing! I’m going to deal with your metrics question first because it’s the easiest one to answer (sort of). One of the most useful things about a Facebook page is its “page insights” tab, which lets you know a variety of things: where your readers are located, how many people clicked on a post, how many people shared a post, the post’s wider potential “reach,” and the best time of day to post something (if you’re trying to reach students, that time in the UK is around 4-6 p.m.; faculty posts should go up in the morning). When asked to present on our social media accounts to our Dean, I took screenshots of these analytics so that I had visual evidence of people interacting with the account. 1) At my university, changes to our departmental website have to go through our marketing channels before they get approved. This process can take a few days. If someone in the department scores a major grant or publishes something big, I can publicize it IMMEDIATELY on Twitter/Facebook without having to wait for those other channels to respond. 2) Student responses to email can be deafeningly silent. Facebook’s analytics give me a quantifiable way to see how they respond to certain posts. Students are VERY quick to click on interview posts about them and their peers, but what’s interesting is that our interviews with faculty were also very popular. Anything I can do to foster more interaction between faculty and students in a way that doesn’t take up too much time away from research is a good thing. It also provides a way for students to see what faculty specialize in. So come this fall, for example, I will re-post our Facebook note that summarizes each of our specialties so that students will have an easier time hunting for a senior thesis adviser. 3) Having an archive of posts somewhere online made it much easier to go back and help my department write a “year in review” summary that could be incorporated into graduation speeches, newsletters, and the like. Twitter metrics are a bit trickier, though you can sign your departmental feed up for a Klout account, which will let you know what the internet -thinks- the account is influential in tweeting about. It will also let you know how your influence on Twitter changes over time. I’ll admit that Klout’s analytics feel a bit murky to me, and I prefer the Facebook ones. On to the question of goals. Goals. Sigh. I had to be very firm about what I envisioned our social media accounts as doing. I avoided making our accounts explicitly about student recruitment, undergraduate or graduate. The way I’ve explained it to higher-ups is that I’m simply trying to create an online space where current and past students and staff can come together. My feeling was that if it was done well, it would work as an implicit recruitment tool. All that is not to say that I don’t post information about our Open Days or information about postgraduate study, but I agree with you that there isn’t much else that these accounts can do to get bodies in the door (if, in fact, that should be a priority). It appears that I’ve written essentially an additional blog post in response to your comment. I hope some of it is helpful! Thanks for writing a second blog post. Let me pose another question: are there particular concerns for not-yet-tenured faculty who are asked to assume these responsibilities for their departments? On the one hand, newer faculty are the most likely to have the skills or disposition to run social media. On the other hand, what do you do when Senior Colleague X is pissy because you haven’t promoted his new book enough? Or Uppity Associate Professor Y is irked because you never retweet her annoying posts? Will your chair protect you from their ire? Or from the perception of some senior colleagues that you are too busy tweeting to be a serious scholar? I do think it worth recognizing that there is a kind of exposure and vulnerability that comes with the job. Obviously departmental cultures vary, but I do think junior faculty should enter into such a position with care– and always having had a full and explicit conversation with the chair regarding the kind of departmental politics that may accompany a social media campaign. I’ve taught public policy at the graduate level as an adjunct professor. Many of the students are on LinkedIn and stepping into their careers. I like to connect with them after the class is complete, and then if appropriate, I “endorse” them for skills like, public speaking, policy analysis, research, etc. I’m not sure I would do the same for undergraduates.